I remember as a kid watching Formula 1 on SABC and I remember watching the iconic 1994 Imola F1 Grand Prix that changed the course of F1 forever. A legend was lost and a legend was born. Although Senna had only won three F1 titles, he is still regarded by some as the best F1 driver of all time due to his passion for driving. However there are some that would also argue that the seven time World Champion, Michael Schumacher, is the greatest. Whichever way you look at it is difficult to deny that being crowned seven time World Champion a legendary achievement, and I personally believe that this record will stand for many years to come. 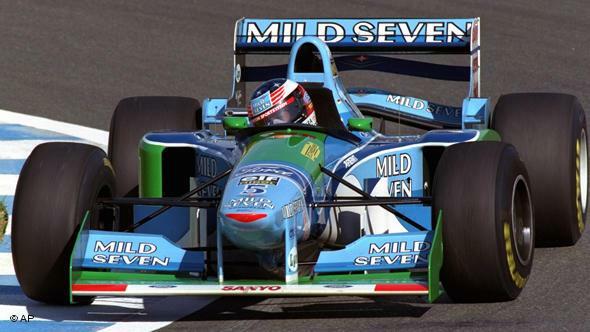 Schumachers first championship win came in 1994 when he was driving for Benetton-Ford and defended his title in 1995 with Benetton-Renault. 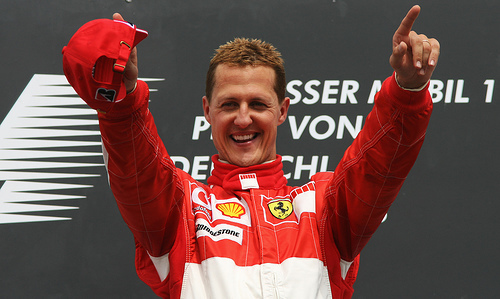 He then regained the title in 2000 while driving for Ferrari and continued to get total of five consecutive wins right up until 2004. He was also know for his ruthless ways on the track and doing whatever it took to win. Apart from having passion for driving in F1, Michael also had extensive technical knowledge which assisted Ferrari in achieving the constructors title six consecutive times from 1999 to 2004. His input into the team was undoubtedly valued. His ability to outperform his rivals in the rain earned him the title of Rainmaster. We saw him do some amazing things under the harshest conditions, whether it was passion or technical analytics that allowed him to do this we will never know, all we know is that it worked. 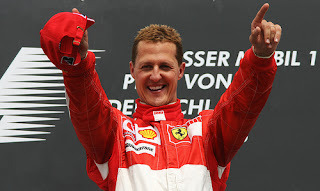 In December 2013, Schumacher suffered a serious head injury during a skiing accident that left him in a coma for six months and is now undergoing rehabilitation. His condition is truly unkown, although there have been published reports that he is improving under the care and guidance of his wife Corinna. Michaels son, Mick Schumacher, is now following in his footsteps and is said to meet with Ferrari early this year to discuss his future. 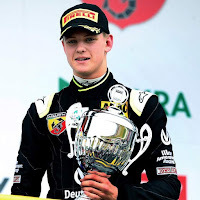 He is currently driving for team Van Amersfoort in the German F4 series.